Covering Seniors With A Hug - One Quilt At A Time - Fabric Shoppers Unite! 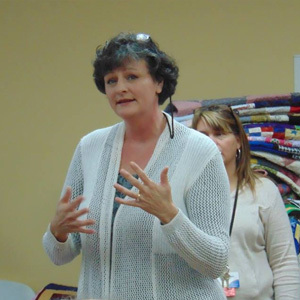 Meet Shannon Ownby, the owner of Fabrics N Quilts in Jamestown, Tennessee. She is always ready for a challenge and committed to giving back to her community. 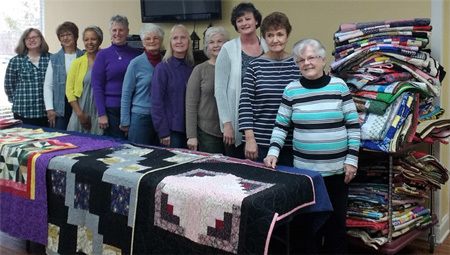 When she heard about the Quilted EMbrace organization, she wanted to get involved herself and bring her customers into it as well. And thus a very special community-service project was born. 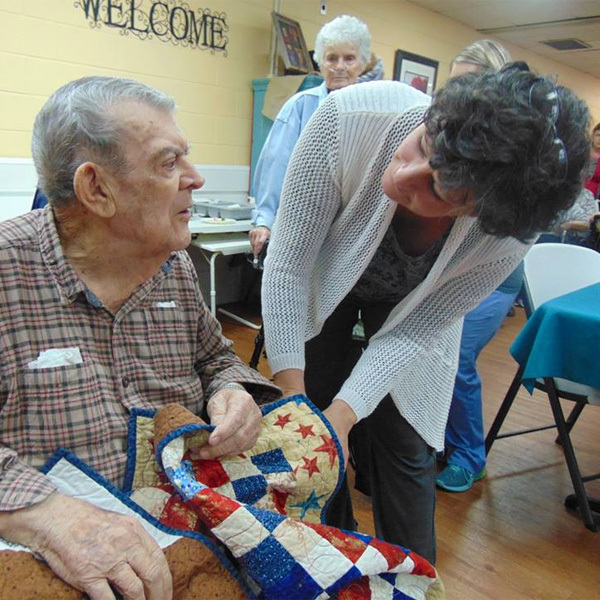 Inspired by Linda’s vision, Shannon wanted to find a way to make quilts for each of the residents of her local senior living facility, Signature Healthcare of Fentress County. 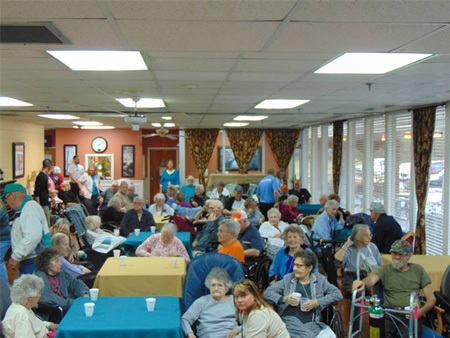 She decided that it would be too hard to pick only a few residents to receive a quilt so she decided to embark on a yearlong community service project that would cover every resident with a new quilt. Since the 138-bed facility also provides in-patient physical rehab, Shannon wanted to make sure to provide few extra quilts to handle turnover. 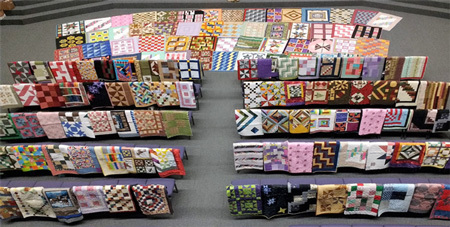 She enlisted the help of over four dozen local quilters to make 145 quilts over the course of a year. To see more photos and a list of the quilters that participated, visit the Fabrics N Quilts blog. For a description of the day the quilts were presented, visit the Facebook post by Signature Healthcare.